We are well and truly into spring and if you haven’t already, it is likely that as the weather warms up you may be considering a giving your property a good spring clean. To be able to achieve a thorough clean it is important to remove the clutter that has built up in your home. For those that hold little attachment to their belongings, the concept of decluttering is simple, but for the majority, it can be a very emotionally driven, time-consuming and overwhelming process. Truly understand why it is that you are choosing to declutter and what are you looking to achieve? This reason will guide you when you are evaluating each item on whether to keep or get rid of it. For example, if you aspire to have a minimalist style home like those commonly featured in interior design shows and magazines, but all the flat surfaces in your home are currently overfilled with ornaments or keepsakes, to achieve your ‘why’ you would need to remove all the excess decoration from your home. Inevitably, through the act of decluttering, you are going to create chaos before you can create order. You can minimize the chaos by sorting directly into 5 plastic tubs or boxes with one for each of the following categories: rubbish, recycling, donation, keep in this space and keep but belongs elsewhere in the home. Rather than sorting into piles on the table, bed or floor, when decluttering sort the items directly into these tubs. If you need to stop before you have finished the task, you can continue life as usual as you haven’t left piles all over your home. It also allows you to quickly continue where you left off when you return for your next decluttering session. Decluttering can often bring out repressed emotions as we uncover sentimental items and memories from our past. This may be upsetting or overwhelming, so having someone to who can provide support, keep you focused and maintain momentum is important. This could be a friend or family member, or you could hire a professional organiser for objective and unbiased support. - do I love it? - do I use it? - does it suit my current lifestyle? - does it function or fit the way it should? - is it still in date? If the honest answer is NO to any of these questions, then it’s a sure sign that you don’t need it. In fact, keeping it may actually make your life more difficult. Each item that you own adds another item to your never-ending to-do list. As you progress through the decluttering process it is likely that you are going to face many objections, but to achieve your ‘why’ you will need to overcome them. As a professional organiser, some common objections for holding onto unused items that my clients face are “I used to love that”, “I paid good money for it”, “It might fit me again one day”, “I might need it one day", “It’s still in good condition”, “It was a gift and I don’t want to hurt my friend” and “It was important to a loved one”. If you feel yourself becoming overwhelmed by objections similar to these, think back to your why in step 1 and your answers in step 4. 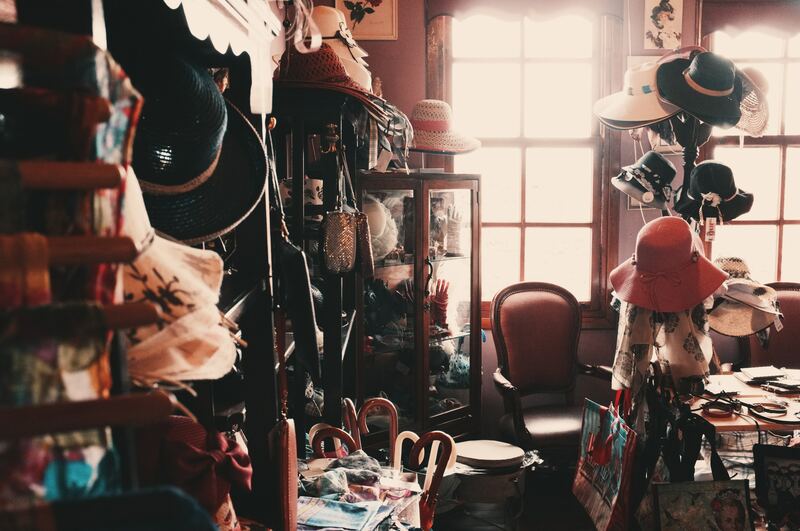 Most of us store a lifetime of stuff within our homes with each item holding a memory or particular significance. It took a lifetime to gather, so it is unrealistic to be able to declutter your entire home within a weekend. Start small and begin with one space at a time. A kitchen drawer is often a good place to start. It is crucial that you remove the items that you wish to donate from your home as soon as possible (ideally the same day). The decluttering process often leaves us both physically and mentally fatigued, but leaving them in the garage or spare room, opens the risk for you to forget what you intended to do with the donations and the items can get recirculated back into your home, wasting the time and effort that you took to declutter. This is not as complex or as time-consuming as it appears. The Salvation Army in Fyshwick and The Green Shed both have drive-thru drop-offs for donations so you don’t need to leave your car and many local op shops often have volunteers that will help you bring items from your car to their store. If you work with a professional organiser, most will donate the items to charity on your behalf as part of their service.